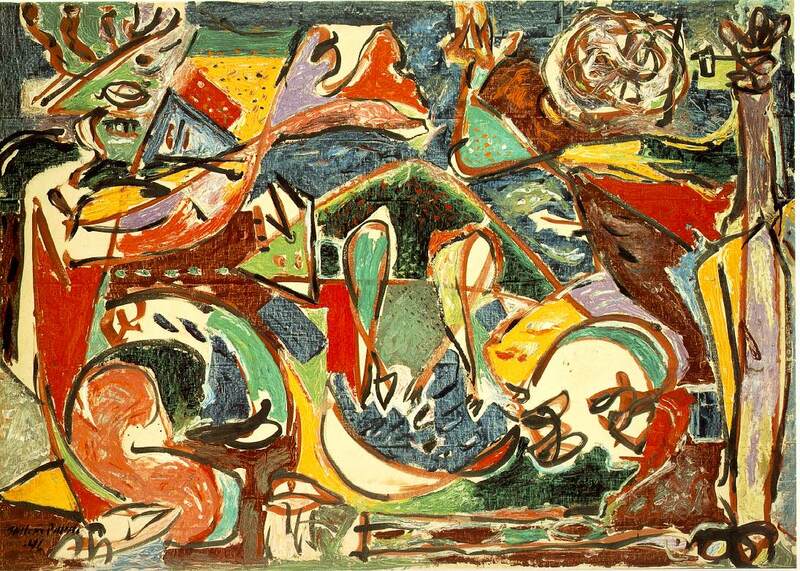 Jackson Pollock, ‘The Key’, 1946 (via ibiblio.org). What’s that, you say? Your two-year-old could have done that? To all you jaded and mature-age art practitioners… meet what is described in reporter Matthew Dunn’s article as “art in its purest form, untouched by life’s pollutants and representative of what is important and beautiful”. Art made by a two-year-old. There’s your problem. You’re all far too polluted. ** ‘Young at art’. Love it. Those puns just pen themselves. Less polluted than Malevich’s Black square? Anyway, while the two-year-old is able to produce un-polluted art, we are unable to appreciate un-polluted art because our eyes have been polluted by cultural meanings that affect the way we interpret things. One source of those pollutants is art writing (Mathew Dunn’s work included.) So if we want to improve our vision, we better stop reading art critics and promoters.